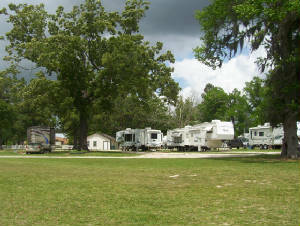 Conroe RV Ranch is a well kept and clean place for you to enjoy your time here. 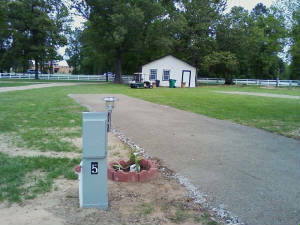 There are 15 full hookups with water, septic and 20/30/50 amp service at each site. Our sites are very spacious ranging between 32' to 45' apart and 65' to 80' long. We have gravel roads and long and level pads. All sites are high and dry with beautiful sandy ground that never gets muddy. All of the sites are under old Oak, Magnolia or Pecan trees for nice shade. Located right on Hwy 105 for easy on and off and convenient to many great restaurants in Conroe.